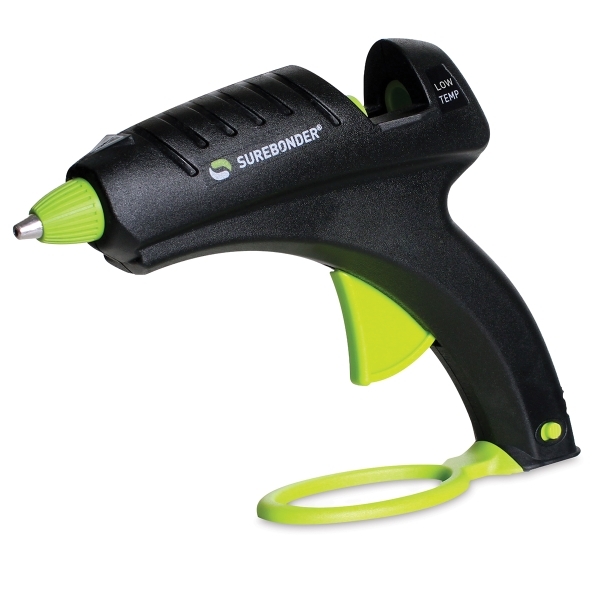 Use the Surebonder Low Temperature 40W Glue Gun for bonding delicate materials such as lace, foil ribbon, floral foam, and lightweight fabric. Providing a safer way of gluing, it heats to a maximum of 250°F (that's 100° cooler than high temperature glue guns). A safety fuse is also included for enhanced protection. Use it with standard 7/16" diameter glue sticks (sold separately).